Custodian of the Two Holy Mosques King Salman received a message from President Vladimir Putin of the Russian Federation. 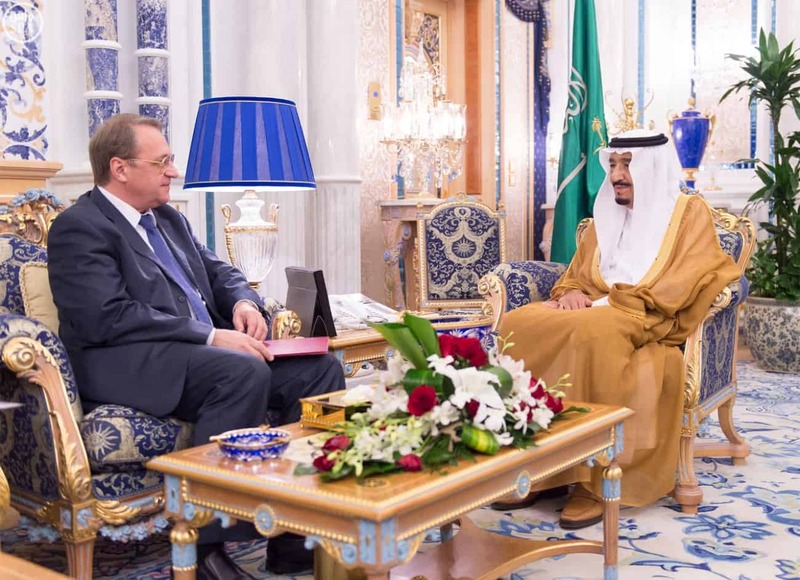 The message was delivered to the Custodian of the Two Holy Mosques, by the Russian President’s Envoy to the Middle East, Deputy Foreign Minister Mikhail Bogdanov. The Deputy Foreign Minister extended the Presidents greetings and best wishes to the King. The two discussed matters of mutual interest between the KSA and Russian Federation, including issues of trade and security.